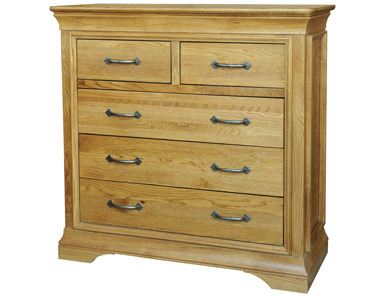 The Kensington French Oak 3+2 drawer chest is made from solid American oak. 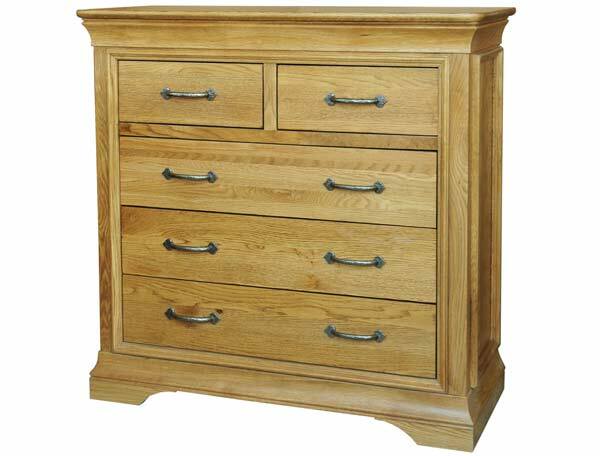 It is finished in a warm oak laquer and come with dove-tailed drawers and tongue and groove drawer bases and backs. The 2 over 3 drawer chest offers 3 large wide drawers and 2 small box drawers on the top. Like all pieces of furniture from this range except for wardrobes and bed frames come fully assembled.